San Diego Immigration Bond Hearing Lawyer by Habib Hasbini, Attorney at Law. Being detained by U.S. immigration officers ? most likely from the office of Immigration and Customs Enforcement, or ICE — is a frightening experience for anyone. Getting out of the detention facility and back home with family is typically a top priority. If you are in immigration detention awaiting removal proceedings, you may request a bond hearing from the Immigration Judge (IJ) either orally in court or in writing, through a written motion. You can make an oral request for a bond hearing at your first scheduled court appearance (called a Master Calendar Hearing). If, however, you are in detention for longer than a few days without receiving a notice of a hearing, you can make a written request for a bond hearing. Your best option is to hire an experienced immigration attorney who will be able to quickly prepare and submit a well-written motion for a bond hearing. If hiring an attorney is not an option, you may have access to a law library of sorts while in custody, and can prepare one on your own. This all depends on the facility where you are located and on your deportation officer?s willingness to assist you with gaining access to these benefits. You are classified as an ?arriving alien? (for example, a non-citizen returning to the U.S. from a trip abroad). You have engaged in activities that threaten the national security of the U.S., such as espionage, sabotage, attempts to overthrow the government, or related terrorism activities. You have committed certain crimes in the U.S., such as drug possession or sale, crimes of violence, theft, fraud, and the like, and were released from police custody after October 10, 1998. Falling into one of the above-mentioned categories classifies you as being under ?mandatory detention.? The IJ will not be able to allow your release upon payment of a bond no matter how great a case for remaining in the U.S. you have and no matter how much the IJ wants to grant you a bond. If the IJ determines that you do not qualify for a bond order, but you disagree with that determination ? for example, you believe that you have been confused with another person of the same name who committed various crimes — you can request what?s called a ?Joseph hearing,? at which you can present evidence that proves you are, in fact, eligible for a bond. Although the bond hearing is separate from the Master Calendar Hearing, it usually takes place on the same day, but just before your first Master Calendar Hearing. Since you will be in custody, you will be transported to your bond hearing by immigration officials. If you are detained at a facility that has an immigration court onsite, you will be physically present in the courtroom for your hearing. If you are at a facility that does not have an immigration court onsite, you will appear through a video link that goes to the courtroom or you will be transported by bus to the immigration court. When you are led into the courtroom you will not be in handcuffs or shackles, but you will be wearing federally issued clothes and shoes and be monitored by security guards. The security guards will tell you where to sit to wait your turn for a hearing and you will not be permitted to speak or interact with any family members who may have come to your hearing. The only person you will be able to speak with prior to the hearing is your attorney. To start your bond hearing, the IJ will review your immigration status in the U.S. and make sure you are eligible for a bond. Then, the IJ will decide whether to grant you the bond. This decision is ultimately up to the IJ?s discretion ? in other words, even if there is nothing legally preventing the IJ from giving you a bond, he or she may still deny you a bond if he or she does not want to give you one based on the IJ?s perception of your character or past behavior. To make this discretionary decision, the IJ will weigh any evidence in the record to determine whether you are a flight risk or a danger to the safety and security of the United States. Factors the IJ will consider to determine whether you are a flight risk include your family ties in the U.S., whether you own or rent a home or apartment, whether you are employed, and whether you qualify for any forms of relief from removal (such as asylum or a marriage-based green card). To help the IJ determine that you are not a flight risk, you can invite your close family members to attend your bond hearing if they are U.S. citizens or lawful permanent residents (LPRs). 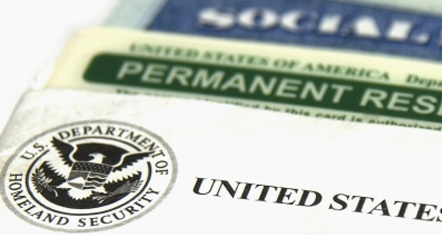 You should also provide the IJ with copies of birth certificates for any U.S.-born children, a marriage certificate to your spouse if he or she is in the U.S. legally, a letter from your employer and/or pay stubs to show employment, and letters from family and friends showing you have ties to the community and the United States. During the bond hearing, the IJ will ask you (or your attorney) questions about your family ties, employment, or past criminal history. If you are not represented by an attorney, you would respond to the IJ?s questions directly. Family members who attend your bond hearing will likely not be asked to testify, but you can point them out to the IJ when responding to questions about your family and their presence in the courtroom will provide concrete proof that you do have family in the U.S. who support you and care for you. To determine whether you are a danger to the U.S., the IJ will look to your past criminal history. Any arrests, including Driving Under the Influence (DUI), will be considered. If you do have any past criminal history, it?s a good idea to provide letters from friends and family that talk about your good moral character and how you have changed for the better since any past criminal behavior, or provide proof of participation and/or completion of rehabilitation programs (anger management, substance abuse counseling, and the like). The minimum bond amount the IJ can set is $1,500. There is no cap as to how high the bond amount can be. The IJ might set it as high as $10,000 or even $20,000. The more the IJ thinks you might be a flight risk or a danger to the U.S., the higher your bond amount will be. The Department of Homeland Security (DHS) may object to the bond amount given by the IJ and may suggest a higher amount. However, the decision is ultimately the IJ?s. You or your attorney, may also make suggestions as to the amount of the bond and give reasons why you think it should be lower. If the IJ grants you a bond, he or she will give you a written order stating that a bond has been granted and its amount. At the conclusion of the bond hearing, the IJ will reschedule your Master Calendar Hearing (usually for no more than 30 days later) to give you a chance to pay the bond and be released from custody before your next court appearance. If you do not pay the bond before then, you will have to appear at this hearing while still in immigration custody. If you are able to post the bond, you will be released from custody and your removal proceedings will be continued in the immigration court for non-detained persons. After your release, the DHS attorney will file a Motion to Change Venue so that your next hearing will be scheduled at the immigration court nearest to the home address you provided to the court upon your release. You will be mailed a notice of the date and location of your next hearing. Meanwhile, the hearing scheduled by the IJ who granted your bond will be cancelled. It is very important to continue to appear at all immigration court proceedings. If you do not, the IJ will order you removed from the U.S. and you will forfeit (lose) any bond amount you or your family members paid.